A blood drive will be held in Hempstead on January 14. Hempstead, NY - January 7, 2014 - In recognition of National Volunteer Blood Donor Month, Nassau County Executive Edward P. Mangano is partnering with the Nassau County Department of Health, the Hispanic Counseling Center and NuHealth to sponsor a Nassau County Blood Drive. For over 40 years, January has been recognized as National Blood Donor Month. 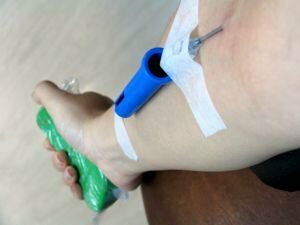 The need for blood locally is constant, but due to inclement weather, holiday travel schedules and illnesses, January is often a difficult month to collect blood donations. Subject: LongIsland.com - Your Name sent you Article details of "Mangano Encourages Residents To Participate In National Blood Donor Month"